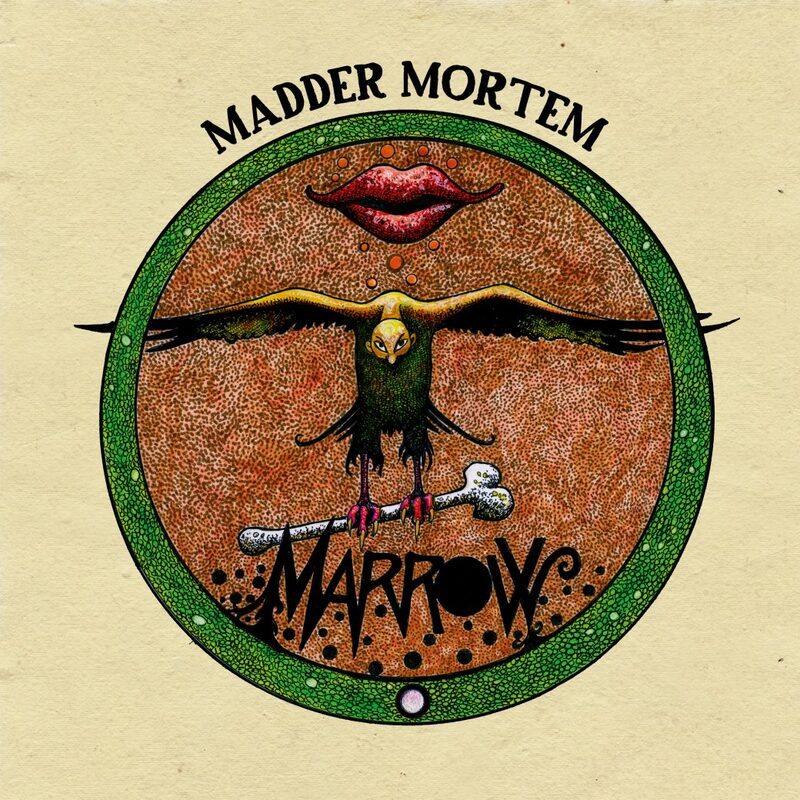 So there it is, the new Madder Mortem album! It did not even take 2 years, while waiting for its predecessor lasted ages (seven bloody years! ), due to label problems. My first thoughts about the album, without even listening is: what to expect? The band is known for experiments, for mixing styles, for emotional vocals. But should a band experiment for the sake of experiments? The cover of the album reveals that this album is different than others, rawer. The drawing could almost be from a punk album. After the first listening session I would say the album is a great mix between the last two albums Red in Tooth and Claw and Eight Ways. Red in Tooth and Claw was rawer, and the male screaming vocals got to the stage more than in the previous albums. Marrow is a typical Madder Mortem CD in the sense that the band has a nice balance: songs can be smooth and heavy at the same time, catchy and raw. Listening to the great song Moonlight over Silver White for example, is in a way the same as listening to The Whole Where Your Heart Belongs (from Red in Tooth..) or Where Dream and Day Collide (Eight Ways). All great songs where singer Agnetes voice is both soothing and angry, romantic and painful. This is what I regard as Madder Mortems backbone music: They know that emotional music is not just loud or just soft. They connect heaven and hell without getting to angelic or too hellish. And from this backbone they experiment, mixing in other styles, giving room to great basslines, use every inch of Agnetes vocal abilities (White Snow, Red Shadows) and although it has its charm to hear her voice break in some songs, it is sometimes a bit too much and I am glad it does not happen on this album. Stumble On: has a great build up! Moonlight over Silver White: mixes several styles in a very catchy song, without becoming poppy. Until You Return: the ballad of the album, without being a yucky sticky song. Just plain passion. All albums this far have a ‘long song’, mostly 8 minutes or more, and they are without exception great jewels. Waiting to Fall being the cherry on this treat. The album opens and closes with two short songs, Untethered and Tethered, making it also easy to listening the album over and over again, if the other songs not already convinced you to do so. Read our review of Madder Mortems Red In Tooth And Claw here as well as our interview with their vocalist Agnete M. Kirkevaag here.